I’d been looking for a good excuse to post an updated pumpkin pie recipe on Cooking On the Side. That first pumpkin pie I posted two Thanksgivings ago was great and all, the classic Libby’s version that I and millions around the country have enjoyed for years. But ever since that post I’ve been wanting to challenge myself to bake a pumpkin pie that was more from scratch – roast a pumpkin and make fresh purée, roll out my own pie crust. Well, I found my excuse to bake a new pie in the form of a sticker on a sugar pumpkin. On the sticker was a pumpkin pie recipe that not only started with making your own pumpkin purée (no surprise there, it’s attached to a pumpkin) but it also called for a rather unusual custard ingredient: a cup of hot water. I researched a slew of other pumpkin pie recipes and not one called for water. And they all have two eggs, while this recipe on the pumpkin sticker only called for one. The closest relative I could find to this type of custard filling was a Chinese egg custard – in that dish, hot water or other liquid is mixed in to create a light, silky texture. I became very intrigued by this water approach. I couldn’t leave well enough alone. For my pie, I decided to brew a cup of chai in lieu of the plain hot water the recipe called for. The notes of cardamom, cinnamon, ginger, black pepper and star anise in the tea complemented the pumpkin amazingly and enhanced the traditional pie spices. If you’re in the mood for an all-homemade twist on the classic, Chai Pumpkin Pie is definitely a great way to go. 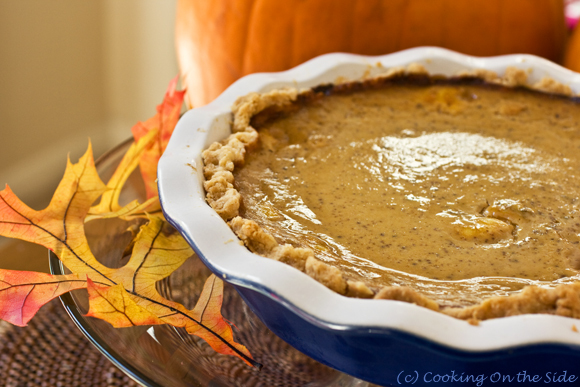 Adapted from the pumpkin pie recipe printed on the sticker on a Pamper’d Pie Pumpkin. Cut the pumpkin in half without the stem. Scoop out the seeds and strings. Place the halves cut-side down on a foil lined baking sheet. Cover the sheet with foil. Bake until tender, about 1 1/2 hours. Let it cool. 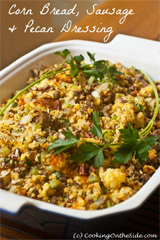 Scoop out the pumpkin flesh and mash it with a potato masher or food processor until smooth. Drain if it’s too watery. In a large bowl, whisk together 1 1/3 cups of the pumpkin (you can save any extra for up to 5 days in the refrigerator or freeze it), sweetened condensed milk, egg, cinnamon, nutmeg, ginger, cloves, and chai just until smooth. Pour the mixture into the prebaked pie shell. Bake the pie for 55 to 65 minutes – the center will still move slightly. Cool and enjoy. * You’ll often find sugar pumpkins (relatively small, round pumpkins that are best for pie) in the produce department of your grocery store in the fall. From the Cuisinart Premier Series 11-Cup Food Processor Instruction and Recipe Booklet. For some excellent pumpkin pie and crust tutorials, you might check out Savour Fare and Simply Recipes. Add the flour, salt and baking powder to a food processor and process 10 seconds to sift. Add the well chilled butter and shortening. Use short rapid pulses until the mixture resembles coarse corn meal and no pieces of butter larger than a “pea” remain visible, 15 to 20 pulses. Sprinkle half of the maximum ice water on the flour and butter mixture, then pulse 5 or 6 times. The dough will be crumbly, but should begin to hold together when a small amount is picked up and pressed together. Sprinkle on more water, a teaspoon at a time, with 2 to 3 quick pulses after each addition, adding just enough water for the dough to hold together easily when pressed into a ball. (Do not allow the dough to form a ball in the processor). Add the liquid sparingly so that the dough is not sticky. Do not overprocess or the pastry will be tough, not tender and flaky. Turn the dough out onto a lightly floured surface. Press together into a ball, then flatten into a disc about 6 inches in diameter. Wrap in plastic wrap and refrigerate for 1 hour before continuing to allow the glutens in the flour to rest. The dough will keep refrigerated for up to 3 days, or may be frozen (double wrapped) for up to a month. Thaw at room temperature for an hour before using. To prebake the pastry (bake blind), roll out the pastry 1/8-inch thick to fit your pan; crimp and seal the edges. Prick the bottom all over with a fork. Chill for 30 minutes. Preheat the oven to 400°F. Line the pie pan with a sheet of aluminum foil or parchment paper and fill with pie weights, dry rice or beans. Bake for 15 minutes. Oh I’m intrigued by the addition of the chai, I love those spices. 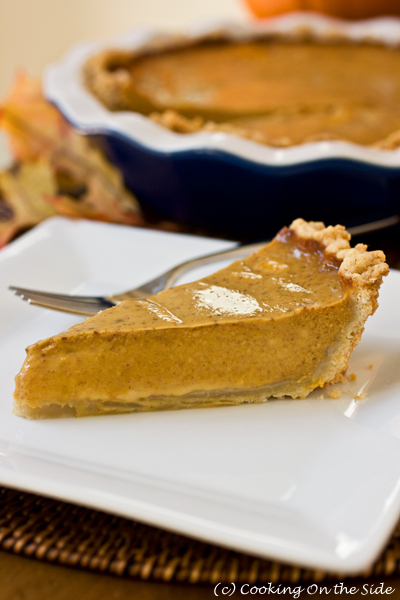 Love the idea of chai flavoring in pumpkin pie, and so clever to use chai tea instead of water. chai pumpkin pie.. thats a unseen/untasted combi, very intriguing. 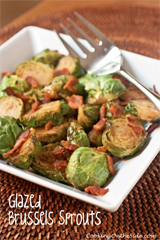 Great dish for the christmas season her around. My family will love it. Oh wow, I’ll definitely be trying this soon! 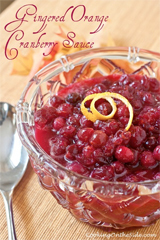 Jey´s last blog post ..Crockpot Chinese Five Spice Applesauce. Chai with pumpkin is a very compelling combination of flavors in the classic: pumpkin pie, delightful! I recently sampled a cupcake with chai paired with chocolate. It was lovely! Oooh…chai and chocolate sounds amazing too. It makes sense, chocolate is so great with all of those spices too. This sounds amazing! I love the addition of the Chai!! I am still amazed by how good the filling tasted! Great job, Kathy! Like you, I have loved Libby’s traditional pumpkin pie for years but have lately been thinking how I could tweak it to make it better. And you did it! I love, love your idea about using Chai tea. Truly inspired! Natalie´s last blog post ..Vegetable Tagine. Love the addition of chai, brilliant! Previous post: Easy Chicken Pho + Pacific Natural Foods Giveaway!